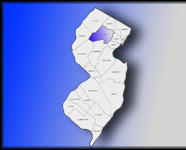 Chester - Morris County 4-H celebrated their 100th anniversary, with the annual Morris County 4-H fair, held at Chubb Park this past weekend. (top left) Melissa Davidoff, of Roxbury shows of Freddie Sr., her 8 lb. bunny. 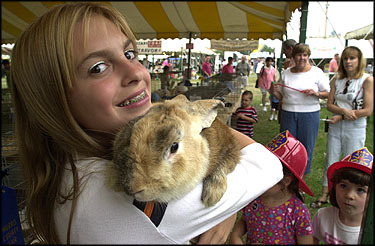 (right) Annabelle Seippel, of Morristown; Lashaonda Lane, of Morristown; and Erica Lehmann, of Morristown, all members of the Karing Kids of Morris County 4-H club. 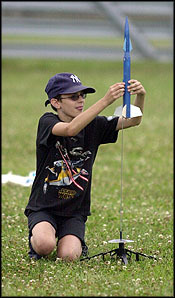 (left) Eric Wlodkowski, of Boonton, prepares to launch a rocket, as a member of the Red Fire bolts 4-H club.